Caught Between a Temple Rock and a Hard Place? December 6th, 2009 01:03 AM | by William Bell | Eschatology. This statement implies that the Jewish hope and Christian destiny (i.e. Christian hope) are not the same. Paul’s defense before Agrippa affirmed that his Christian hope rather than being different, was identical to that of the Jews. Yet, they wanted to kill him because he claimed that hope was already being fulfilled in Christ! (Acts 24:13-15). See also Acts 26:6-8; 28:20). God’s decree and the prophecies of Jesus, Israel’s Messiah, made clear that not one stone of the Temple would be left standing upon another, Matt. 24:2. The Romans carried out the details of burning the Temple to the ground in A.D. 70, (Lk. 21:20-22). Thus, God’s judgment upon Israel and the Temple stands today as a constant reminder of their national demise as the covenant people of God. David Chilton wrote: The Bible does not prophesy any future literal Temple or sacrificial system to be set up in Jerusalem. The Biblical prophecies of the temple refer to Christ and His Church, definitively, progressively, and finally. Emperor Flavius Claudius Julianus, called ‘Julian the Apostate’ purposed to rebuild the temple. Early efforts to rebuild a temple in Jerusalem reached the pinnacle of excitement on May 19, 363 A.D. one day before the building would begin. All supplies and materials were ready. However, as Ice and Price record, “Suddenly, and without warning, at the third hour of the night…the streets of Jerusalem trembled and buckled, crushing two hundred years of hope in a pile of dust. No longer would there be any possibility of rebuilding the temple. The bible doctrine that God’s temple is no longer geo-centric but is spiritual (John 4:21-24; Acts 7:48-50; 2 Cor. 6:16) is called replacement theology by Dispensationalists. The authors noted above take their cue from Ireneaus, a man who claimed that Jesus lived to be 50 years old. Such is the credibility of his witness. Irenaeus, who wrote after 70 A.D. i.e. after the temple was sacked, believed that the Antichrist would come, reign for three years and six months, then sit in the temple of God until he and his followers are destroyed by the coming of Christ and his kingdom. Irenaus’ claim which Price and Ice seem to gulp down hook line and sinker compound with each assertion it makes. Consider this brief examination. Irenaeus prophesied the coming of a future Antichrist. This contradicts inspired apostolic writings. John writes that the Antichrist had already appeared in his day. He said it was the last hour. They knew it was the last hour because of the presence of the Antichrists. 1 John 2:18-19. They were in among the church but left the church. The antichrists denied that Jesus was the Messiah or that he came in the flesh, 1 John 2:22-23; 4:2-3). John says everyone who denies Christ as God’s Son, denies God also. The claim to rebuild the temple is rooted in a denial of Jesus as the Messiah and Son of God. This is glossed over by “Christian Zionists” who claim that unbelieving Jews will en masse be converted to Christ. This language is taken from prophecies in the Old Testament book of Daniel. Chapters 7:25 and 12:7, both mention, a time, times and a half time. They correspond to John’s message in Revelation of for the 1260 days, the 42 months (Rev. 11:2; 12:6, 14, 13:5). This is the time the beast makes war with the saints, drives the woman (church) into the wilderness until the temple is destroyed by the Gentiles. See Luke 21:20-24. 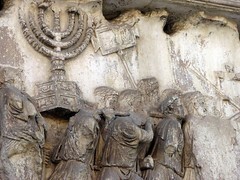 Thus, it identifies with the Roman invasion of Judea, 66-70 A.D.
Daniel said it marks the time when the power of the holy people (national Israel) would be completely shattered, (12:7) and during which time, the Antichrist (little horn) prevailed until the Ancient of Days (Christ) came and destroyed him. Since Daniel’s prophecies were all fulfilled in 70 A.D.(Matthew 23:36, 24:15-21) these events do not extend beyond that generation, (Matthew 24:34). Why is it necessary to go “out of bounds” of apostolic writings to uphold the uninspired testimony of Irenaeus? Paul says plainly that the man of sin and the mystery of iniquity was already at work in the first century in the early 50’s A.D. Paul, writing in present tense to his present audience said of the man of sin. “Who opposes and exalts himself above all that is called God or that is worshiped, so that he sits as God in the temple of God, showing himself that he is God. Do you not remember that when I was still with you I told you these things? (emp. mine). What better description can we find an an Antichrist spirit? He opposed and exalted himself above all that was called God. What further proof is needed than a clear biblical text which says he sits in the temple of God? This occurred long before Irenaeus wrote his contradictory statements. Now that Christ returned and destroyed the temple in A.D. 70, it must be emphatically clear that the man of sin met his destruction at that time. Why look for another? Paul prewarned the Thessalonicans of his presence saying that the mystery of lawlessness was already at work. Thus, that lawless one would be destroyed at the brightness of Christ’s coming. Now what other temple could he have been in during the lifetime of the Thessalonicans? How can Paul warn them of a rebuilt temple in the 21st century? Dispensationalism is miss-informationalism! Here is Irenaeus’ denial that God and Christ have a kingdom on earth today. Ice and Price complain about replacement theology? This is a joke right? They replace the kingdom of God with an imaginary and temporary church age. Jesus promised he would come in his kingdom and glory before some then living died, Matt. 16:28; Matt. 24:30-34. The apostles affirmed they were receiving the kingdom, Heb. 12:28. John says he and fellow companions in the faith were in it, (Rev. 1:9). Luke records Jesus’ words, that the kingdom of God would come in fulness at the harvest, i.e. Jerusalem’s fall, (Luke 21:31, Matt. 13:39-43; Mark. 4:26-29). Israel’s prophets declared THE LORD OUR RIGHTEOUSNESS, Jer. 23:6. Christ is the end of the law for righteousness to everyone who believes, (Rom. 10:4). To deny that we have the kingdom and righteousness is a denial of Christ. Thus, to advocate rebuilding a temple in Jerusalem denies the work of Christ. It denies the kingdom of God on earth today. It places the dead carcass of Judaism above Christianity. It reverses the plan of God and takes people backward into the shadows of Moses versus to the light of Jesus Christ. It elevates man’s words above inspiration. This is the ‘stone which was rejected by you builders, which has become the chief cornerstone.’ Nor is there salvation in any other, for there is no other name under heaven given among men by which we must be saved. ” (Acts 4:11-12). Ice and Price are caught between a temple rock and a hard place; that hard place is Christ, the true stone and foundation which God laid in heavenly Zion. That is the stone which cannot be shaken, not even by the tremors of a major earthquake. 2. David Chilton, Paradise Restored: An Eschatology of Dominion (Tyler: Reconstruction Press, 1985): 224. « Is the New Covenant Only for Judah and Israel?